Continuing our look at some of 1977's most nostalgia triggering tracks as filtered through the programming sensibilities of Chicago AM giant WLS, we conclude the three part series (as well as our entire 77 mix collection), with Soft Rock Nights. If WLS mornings were for the moms, and WLS afternoons were for the boys, WLS nights were for couples. The music got softer, the music got more sophisticated, and the music got better, as the radio station tried to hook in young lovers going about their evening plans. Not surprisingly, this is probably the smoothest listen of all our 1977 mixes. 1. The Chain - Fleetwood Mac: Hitting two more tracks from Rumours on this mix, giving them seven tracks in this collection (second behind only Jimi Hendrix's Are You Experienced for the most songs we've ever included from one album). This track, probably Rumours' most instrumentally sophisticated, is a perfect tone setter for what's coming in this mix. 2. Deacon Blues - Steely Dan: Finally, we get to Steely Dan's Aja, the last genuinely great album to be profiled in our '77 collection. And while I've always preferred the songs on the band's singles-oriented debut Can't Buy A Thrill and '75's Katy Lied a little more, there's no denying that on certain evenings, no album other than this one-of-a-kind, jammy, Eros-driven masterwork will do. Deacon Blues has always been my favorite from this one. 3. Just The Way You Are - Billy Joel: Joel's first top-ten hit of his career almost didn't see the light of day. 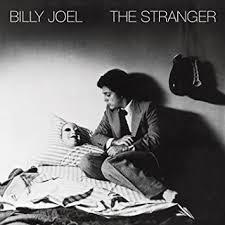 According to Joel, neither he or his band cared for the song after laying it down, and weren't going to include it on The Stranger, but at the urging of Linda Rondstadt and Phoebe Snow who were both recording in the same building at the time, Joel acquiesced. Joel's producer Phil Ramone had a different take on the issue, stating no matter how hesitant Joel and the band were about the song, or how much Rondstadt and Snow loved it, Joel hadn't written enough material for the album to ever consider cutting it. Either way, I came back to this song for this first time in years expecting to dislike it, but was actually surprised at how well it has held up. 4. 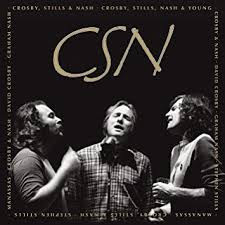 Just A Song Before I Go - Crosby, Stills & Nash: Surprisingly, given all the other classic rock staples in their catalog, Graham Nash's parting words for his family and friends, written on a bet in 20 minutes before heading back out on another tour, is taken from the band's 1977 release CSN, and was the biggest hit of the their career! 5. 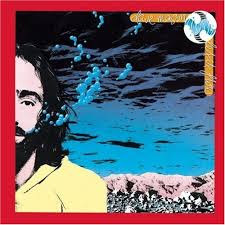 Takin' The Time To Find - Dave Mason: Definitely felt we needed another number from Dave Mason's '77 guest-star-loaded release Let It Flow, but with Nancy already thieving the album's title track for her Favorites mix, I went with this rocking, AWBish number here over the album's biggest hit We Just Disagree. 6. 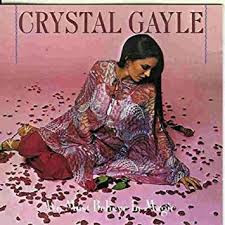 Don't It Make My Brown Eyes Blue - Crystal Gayle: Originally released on Gayle's fourth studio album We Must Believe In Magic, the country singer's signature hit would end up the #71 selling single of 1978. I considered it for Lujack Mornings, but there's just a touch more late-night sophistication to this number that suggested it was a better fit here. 7. 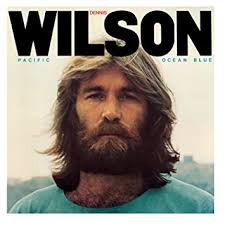 Dreamer - Dennis Wilson: Though it wasn't one of the two singles issued from Dennis Wilson's '77 solo debut Pacific Ocean Blue, it was this surprisingly gruff, bluesy number built around a super cool bass harmonica passage that has, over time, emerged as the album's most popular song. 8. 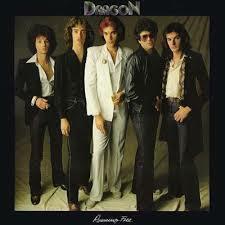 April Sun In Cuba - Dragon: One of New Zealand's biggest rock acts during the mid-to-late 70s, Dragon's April Sun In Cuba, from their fourth studio release Running Free, was one of the band's biggest chart successes in the United States. 9. 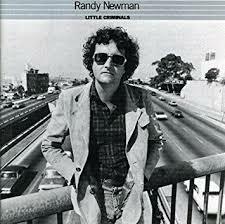 Baltimore - Randy Newman: While Short People got most of the airplay and attention, the best song on Randy Newman's Little Criminals was its oft-covered, bleak portrait of a dying city Baltimore which, like most of Little Criminals, featured members of the Eagles (in this case Glen Frey and Joe Walsh) in instrumental support. 10. 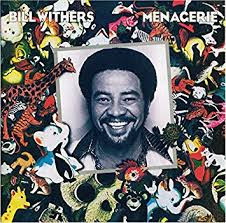 Lovely Day - Bill Withers: From the bleak to the buoyant. Released in December, 1977, the lead single for American soul singer Bill Wither's sixth studio release Menagerie also owns the distinction of holding one of the longest-sustained vocal notes ever put down in recording history, with one of Wither's final "days," clocking in at eighteen seconds. 11. 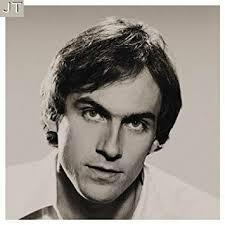 Handy Man - James Taylor: Though the seventies singer-songwriter movement was already in decline, genre-icon James Taylor enjoyed his most successful year in 1977 powered by his eighth studio album JT, which in addition to being the best-selling album of his career, also featured two of his biggest charting hits. Handy Man here, and Your Smiling Face, which Nancy has already featured on her Favorites mix! 12. Smiling Stranger - John Martyn: While not a huge name here in the states, British singer/songwriter/badass guitarist John Martyn had a prominent five-decade career overseas from the late sixties until his death in 2009, and his daring, idiosyncratic combination of blues, reggae, jazz, and folk and have led many to dub him the father of 90s trip-hop. His 1977 seventh studio release One World is one the most popular of the 22 studio albums he left us, and contains two of him most famous songs in the title track and the Lee "Scratch" Perry collaboration Big Muff. But as cool as those songs are, I found Smiling Stranger to be even cooler. So all you Portishead / Massive Attack fans, this is where some of it started. 13. 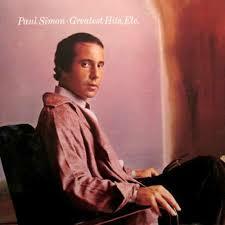 Slip Slidin' Away - Paul Simon: After deciding not to include Slip Slidin' Away on 1975's Still Crazy After All These Years, Paul Simon decided to include it two years later on his 1977 greatest hits collection Greatest Hits, Etc. to give that album a lead single. 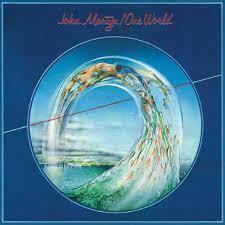 The ploy worked, as Slip Sliding' Away ended up as the #48 single of 1978. 14. 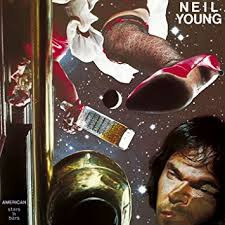 Like A Hurricane - Neil Young: Though not horrible in its own right, when compared to the spectacular quality level of most of his 70s output, Neil Young's 1977 studio release American Stars N' Bars is a straight-up dud... until one gets to this song towards the end of side two, a contender for the title of the greatest song in Young's entire, mind-bogglingly prolific career. 15. 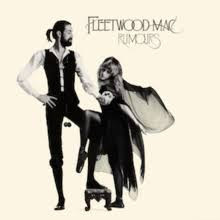 Songbird - Fleetwood Mac: Like Dreams, I thought Nancy would claim Christine McVie's best Rumours' song Songbird for her mix, but she did not, giving this mix one last gorgeous come down before its big closing stretch. 16. 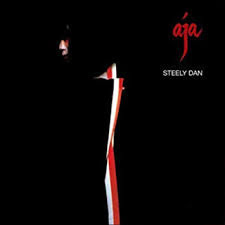 Peg - Steely Dan: One more from Steely Dan's all-time best seller and audiophile sacred cow Aja. 17. & 18. 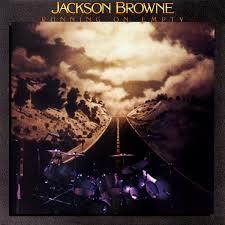 The Load Out / Stay - Jackson Browne: Following the tremendous success of 1976's labored-over The Pretender, Jackson Browne chose to lighten things up in 1977 with his fifth album Running On Empty. A record about life on the road recorded on the road (either live, or on the tour bus, or in hotel rooms, etc.) it's not one of Browne's most accomplished works, but it does possess a killer set of bookends in the opening title track (already featured on Vol 2 - Nancy's Favorites) and the closing tandem of The Load Out / Stay included here, which just felt, not like the perfect ending for this mix, but this entire 1977 collection as well. Hope you enjoyed it all.